Australia is a Top 10 global e-commerce market, and we look forward to helping our ShipStation merchants easily and efficiently manage their shipping to Amazon’s Australian customers. ShipStation, the leading web-based e-commerce shipping solution, today announced it has integrated with Amazon Australia, which Amazon launched in December 2017. Amazon Australia offers millions of products, available across 23 categories, including consumer electronics, sports and outdoor goods, toys, home improvement and tools, clothing and accessories. According to Statista.com, Australia’s e-commerce revenue will reach US $11.78 billion in 2018. That revenue is expected to grow 8.8% per year. By the start of 2018, one third of Australian purchases at multi-channel retailers will be made online, says new research by the Commonwealth Bank, as reported in huffingtonpost.com.au. ShipStation has helped Amazon merchants ship billions of dollars in orders. 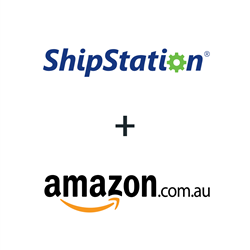 Now customers who ship Amazon Australia orders from their own distribution center are able to use ShipStation’s time-saving and money-saving shipping and fulfillment options. Features include batch label processing and real-time tracking information. In addition, sellers will be able to use ShipStation’s international fulfillment and shipping features, including: global address validation, automating of international customs forms and invoice paperwork, and the ability to brand shipping documents and communications with customers. ShipStation is the leading web-based shipping solution that helps e-commerce retailers import, organize, process, and ship their orders quickly and easily from any web browser. ShipStation features the most integrations of any e-commerce web-based solution with over 150 shopping carts, marketplaces, package carriers, and fulfillment services. ShipStation's many integration partners include Jet, eBay, PayPal, Amazon, Etsy, BigCommerce, WooCommerce, Shopify Plus, Squarespace, Walmart, and Magento; along with carriers such as FedEx, USPS, UPS, Canada Post, Australia Post, Royal Mail, and DHL. ShipStation has sophisticated automation features such as automated order importing, custom best practice rules, product profiles, and fulfillment solutions that enable its users, wherever they sell and however they ship, to be exceptionally efficient at shipping orders. ShipStation is a wholly-owned subsidiary of Stamps.com (Nasdaq: STMP). For more information, visit http://www.shipstation.com. For more information about selling on Amazon Australia, please visit https://www.amazon.com.au/gp/au_sell.html/ref=nav_au_sell/355-0936017-8734658.